Ho Chi Minh City has a tropical climate, meaning that although the average temperature is rather high, the rain means that the climate will be slightly cooler, although the humidity is very high, which may be rather uncomfortable. Ho Chi Minh City is warm all around the year, but is hottest around spring. Fortunatlely, air-conditioning is pretty much standard across the city, and street vendors know to sell cold drinks. The best time to visit Ho Chi Minh City is probably the dry season, which starts around December and ends in April. This period is drier, meaning that the climate will probably be more comfortable. 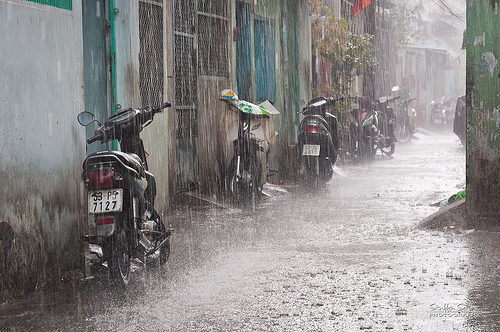 However, visiting in the rainy season (around May to November) can have its advantages, as it can be slightly cooler, and the rain can help to clear the air a bit as well. Also remember that festivals can play a major part in your holiday, and you may wish to avoid the crowds, or join in on the festivities.